Welcome to Abbey Pest Control, the leading supplier of pest control staff, vermin removal and insect removal equipment in the Glasgow, Strathclyde and Renfrewshire area. The Abbey Pest Control team know that when a customer has a pest problem, they want it gone fast. Each of our pest control technicians have completed our comprehensive training scheme and have an array of qualifications and certificates that make them the very best to deal with your pest problems. Whether you need to get rid of mice or have pigeons causing unwanted mess. As their careers progress, pest control Technicians also complete further modular training courses in specific technical aspects of pest control. Each member of staff is trained to the highest standard and always delivers service that keeps you informed every step of the way. They will also consult to you about preventative measures, that will keep your environment pest free. When you have pests in your home it can become unbearable, they are the cause of unwanted mess and stress. In addition to this, rats, mice, insects or pests of any kind are highly unhygienic and put your families health at risk. Abbey Services understands this. That's why we have a 24 hour response team and are unrivalled throughout Glasgow for our pest control team. Pests at your commercial premises can have have an adverse effect on your business. They can cause all manner of health and safety issues and even, in extreme circumstances have your premises closed down. At Abbey Services our commercial pest control team have the equipment and the knowledge to get your business back to normal. Abbey Pest Control work with Domestic and Commercial clients to help erradicate recurring pest control problems. 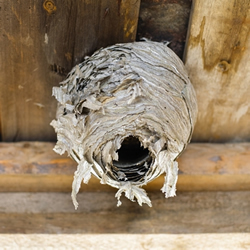 Whether you have issues with mice, rats or wasps, our contract services can help clear the problem and keep pests under control in the long term. Our contract services can be tailored to suit your requirements and we can arrange to have work carried out over regular periods at a time that suits you - keeping pests and potential problems at bay.